At the end of World War II, Russia established closed, secret cities identified only by number. These cities which occasionally changed numerical designation to ensure secrecy, were factory towns of the Russian military industrial complex. One needed a permit to visit. The cities were in remote, interior regions such as the Ural region and Siberia, out of reach of enemy bombers. The city of Chelyabinsk was once a closed city. 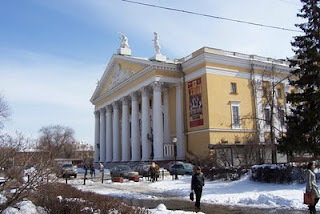 It is deep in the southern Ural, approximately 200 km south of Ekaterinburg (where the last Czar and his family were executed), and about the same distance north of the border of Kazahkstan. It was a military fortress in the 1700's during the Russian expansion. On the eve of World War II, Stalin decided to set up military factories in this small village. 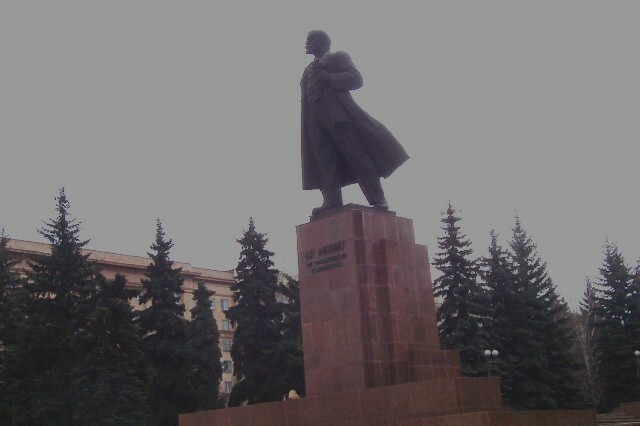 Katyusha rockets and T-34 tanks were synonymous with Chelyabinsk. "Tankograd"was its unofficial name. 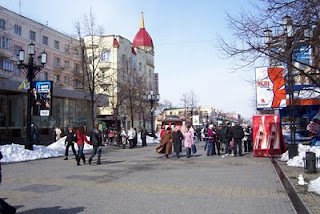 Today, Chelyabinsk is a city of about a million people. In 1992, Chelyabinsk was decommissioned and its factories converted to peaceful industrial use. According to a knowledgeable lady, Chelyabinsk switched from producing tanks to "ahhhh...John Deere," (tractors! ), trying to describe the guns to plowshare transformation. However, the successful transformation is overshadowed by a tragic past. 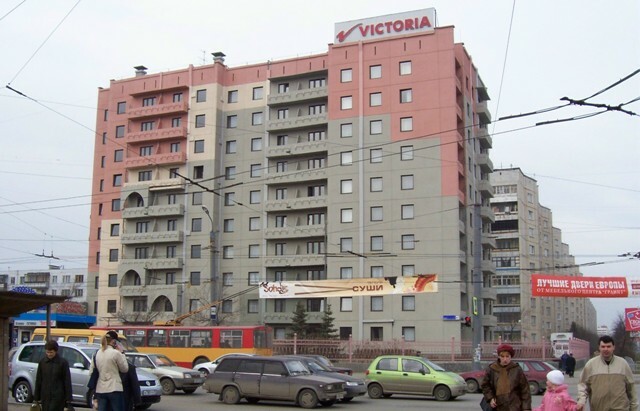 Chelyabinsk oblast (region) experienced 3 major nuclear disasters between late 1940 to late 1960, during its heyday as a military industrial hub. The 1957 nuclear disaster at Mayak, the largest nuclear facility in Russia, 72 km out of the city, irradiated half a million people, leaving some villages, part of the river and a highway still radioactive. 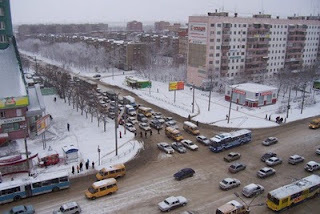 A film about Chelyabinsk labels it as the most contaminated place on earth. According to locals I worked with, up to 30% of its residents suffer from the effects of these disasters. 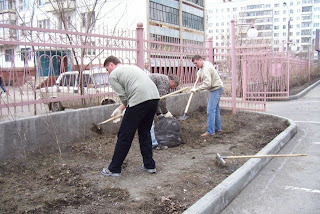 In spring of 2006, while working in Chelyabinsk, the city didn't seem to have transformed gracefully. The heavy industrial look and the Soviet era architecture remained. Coming into downtown, huge hot water pipes stuck out of the road side like a scene from Mel Gibson's movie, the post apocalyptic Mad Max (Road Warrior). The cloudy skies, snowy and cold weather unusual for the time of the year, and factory emissions added to the eery scenery. However, I was in the Urals, the natural divide between Europe and Asia, almost halfway round the world from where I live. 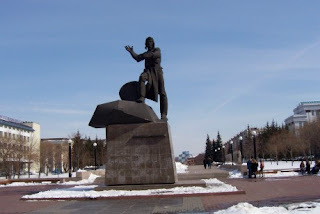 From the airport, seeing the treeless steppes with minimal trace of habitation other than an occasional stray dog, the absence of high peaks (the mountain range is very old, and not very high), the remoteness and the grayness of the place was overwhelming. It was in this very far away and sort of mysterious place that I had one of the most interesting conversations in all my travels. After helping me at the post office, as we were about to have lunch at a cafe, Sasha, an employee at Hotel Victoria, came out of nowhere and started the conversation about a book, and an author that made me take notice. It was a wild opening line from someone I didn't personally know who seemed to know what I actually read. I mention this conversation in my first post, Where Do I Start? I'm not sure how to describe my time in Chelyabinsk. Tatiana, a hotel executive, described it best. On a slow night at the hotel, she said over dinner quoting a Russian writer, "don't try to understand Russia, just feel Russia."